Item: SGN 212 - At the mouth of the Harrison River, B.C. Item: Port P1601 - At the Town Hall in Sydney, N.S.W. His Worship A.T. Alsbury, Mayor of Vancouver, Presents the Right Honourable Henry F. Jensen, Lord Mayor of Sydney, with a Bronze Statuette of Captain Vancouver, R.N. Item: Out P783 - Atlin, B.C. Item: SGN 113 - Autumn in Stanley Park, Vancouver, B.C. Item: LP 220.9 - B.C. [Rifle] Team [and trophy], D.R.A. 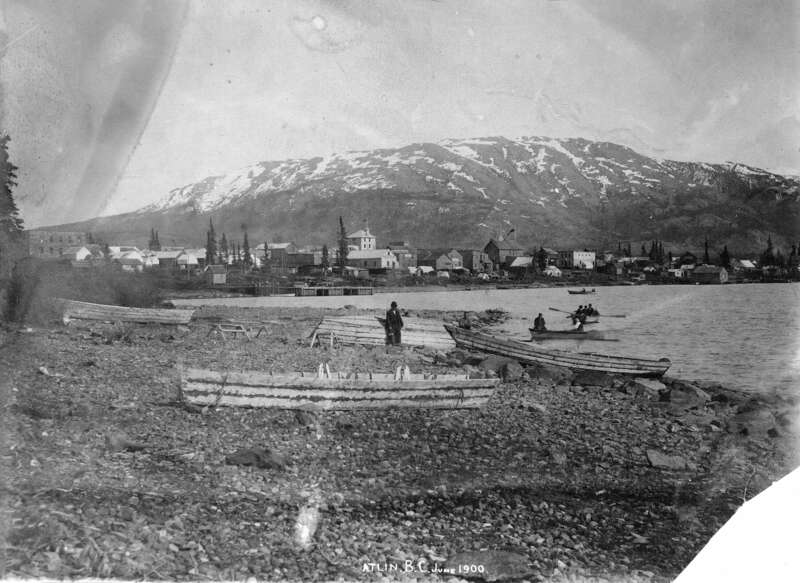 Item : Out P783 - Atlin, B.C.